Fast Start conversation: When leaders fail to clarify their preference to stay connected with their technology their employees are left to guess the expectation for responsiveness and communication preference. 4 steps to set after-hours work expectations help leaders improve their communication and information relationship with their employees and, in turn, improve the employee’s relationships with their family and friends. What do you think the four steps are? Cali Williams Yost penned this for Fast Company magazine. 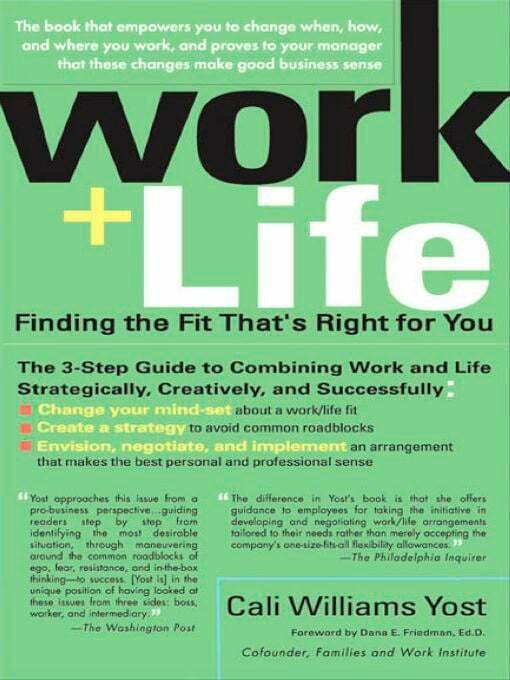 Ms. Yost authored Work+Life: Finding the Fit That’s Right for You and writes Work+Life Fit blog and Twitter @caliyost.